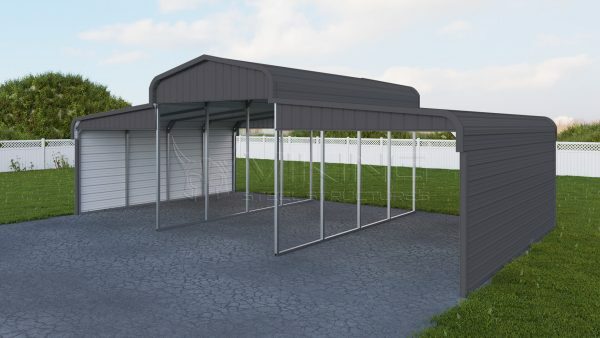 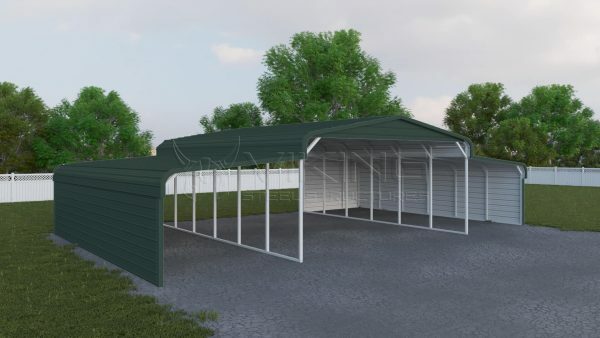 42′ wide x 20′ long Regular style roof Horse barn. 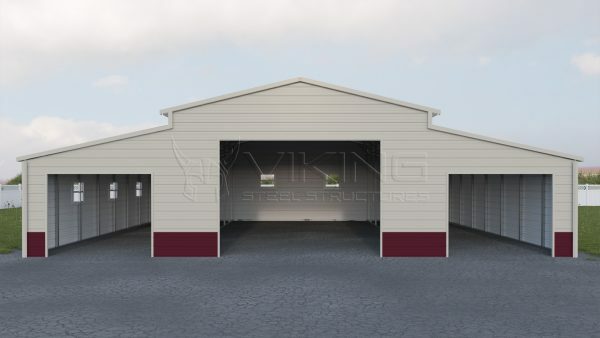 Center unit is 18′ wide x 20′ long with 9′ side height, Vertical both sides closed and two vertical gable ends. 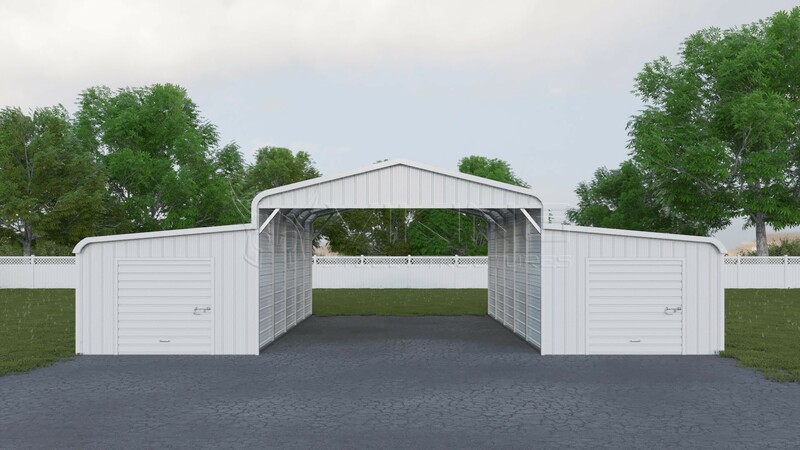 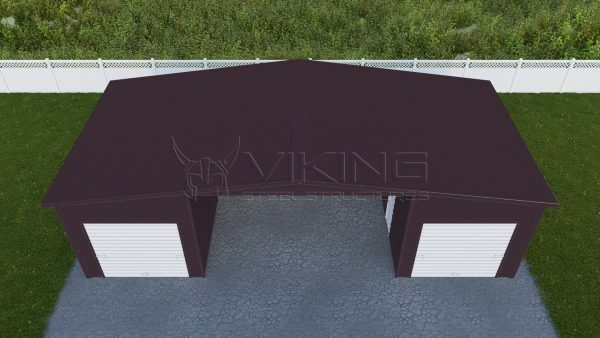 Lean’s are 12′ wide x 20′ long both sides with 6′ side heights fully enclosed with two 6×6 garage doors and one 32×72 walk-in door.